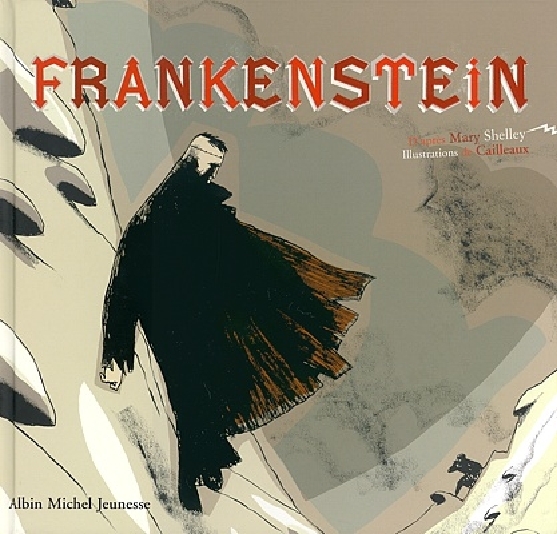 From January 2006, a heavily condensed children’s adaptation of Frankenstein (“The terrifying story of the most famous of all monsters!”) by Michel Piquemal, illustrated by Christian Cailleaux, published by Albin-Michel. Piquemal is a novelist, songwriter, and a very prolific children’s book writer. One of his books, A Wolf In My Room, deals with intelligently with children’s fear of the dark. The wolf comes out of the wallpaper at night and... eats your nightmares. 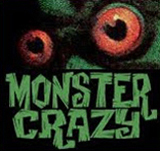 The book comes with a penlight so you can check for monsters under your bed! Besides his highly original work, Piquemal has adapted several literary classics into carefully crafted, simplified version for young readers. Of interest to monster fans, Piquemal did a young reader’s version of King Kong in 2004, with art by Christophe Blain. 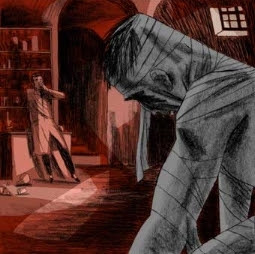 Frankenstein illustrator Christian Cailleaux’ work includes evocative covers for a jazz record collection, travel sketch diaries and graphic novels, notably the Impostors series published by Casterman. Cailleaux’ website features several tantalizing examples of his work. 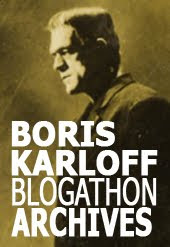 Click here to see six of Cailleaux’ moody and impressionistic Frankenstein illustrations. The book is available in North America through Amazon Canada. wow, does this looks cool!